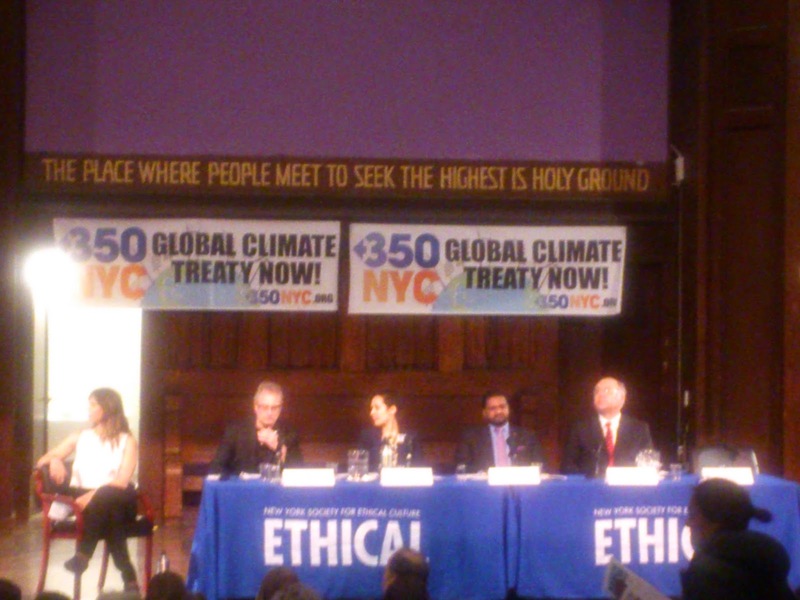 I attended 350.org's Countdown to Paris meeting tonight in NYC. The communication was clear - The pledges that will predictably be made at the COP21 climate conference this December in Paris will fall far short of being sufficient to mitigate the crisis in time. And in the face of no strategy or plan to effectively deal with the predictable failure, the panel of experts expressed their optimism. Optimism is the heroin of the powerless. Great progress has been made in the matter of climate change as a result of previous global climate conferences. However, the kind of alignment and commitment now called for among all nations is unprecedented, and the consequences of a failed Paris conference are much more dire. This is our last shot. We have five years in which to take the actions that will make or break our planet as a sustainable environment. Not fifty. Not a hundred. Five. At a time in our history when speaking and action should be at its boldest, it is actually moving in the opposite direction. In an attempt to get the countries of the world to participate in the conference and the pledging process, the language has been so watered down that the countries aren't making promises or even commitments, but rather "intended nationally determined contributions". In making the pledging process more comfortable, they have also eliminated the need to do the real work of confronting the cold hard reality of where we are headed and what it will take to resolve the situation in time. So rather than working from a future of what is wanted and needed REALLY to effectively deal with the REAL situation, we are working from a past of what is considered possible, with hope as the antidote to confronting what it will take to bridge the chasm between the actions being taken and what the crisis ACTUALLY calls for. What is needed is not best efforts or contributions or good intentions or optimism or even progress, but A REAL PROMISE. For someone in the crowd to stand up and say "I promise a future of sustainability. I promise to ensure that the temperature of our planet will not exceed the agreed point of no return of 2 degrees C. I promise that the nations of the world will make that collective promise at COP21 in December." We should not count on politicians or scientists to make that promise. If it is to come, it will come from you. And me. This is our time. This is our planet. This is our future. This is our promise to make. Tomorrow we will be covering the New York meeting of 350.org's Countdown to Paris. Clock is ticking!